GiveWell claims that the Against Malaria Foundation (AMF) is about 10 times as cost-effective as GiveDirectly. This entails unusual claims about population ethics that I believe many people would reject, and according to other plausible views of population ethics, AMF looks less cost-effective than the other GiveWell top charities. A GiveWell-commissioned report suggests that population will hardly change as a result of AMF saving lives. GiveWell’s cost-effectiveness model for AMF assumes that saving one life creates about 35 quality-adjusted life years (QALYs), and uses this to assign a quantitative value to the benefits of saving a life. But if AMF causes populations to decline, that means it’s actually removing (human) QALYs from the world; so you can’t justify AMF’s purported cost-effectiveness by saying it creates more happy human life, because it doesn’t. You could instead justify AMF’s life-saving effects by saying it’s inherently good to save a life, in which case GiveWell’s cost-effectiveness model shouldn’t interpret the value of lives saved in terms of QALYs created/destroyed, and should include a term for the inherent value of saving a life. GiveWell claims that AMF is about 10 times more cost-effective than GiveDirectly, and GiveWell ranks AMF as its top charity partially on this basis (see “Summary of key considerations for top charities” in the linked article). This claim depends on the assumption that saving a life creates 35 QALYs. It’s valuable to cause a currently-existing person to live longer, but not harmful to prevent people from existing. The value of causing a currently-existing person to live longer derives entirely from the additional life-years lived. I will refer to this view as the GiveWell view, although I do not believe all GiveWell employees would necessarily endorse these two assumptions. Rather, I mean that this view implicitly follows from the way GiveWell calculates AMF’s cost-effectiveness. GiveWell’s recommendations include many inputs other than explicit cost-effectiveness calculations, but many donors nonetheless heavily rely on the claim that AMF is about 10 times more cost-effective than GiveDirectly. GiveWell’s cost-effectiveness calculations not only claim that preventing deaths from malaria is good, but that its goodness comes in proportion to the number of additional life-years lived by people who otherwise would have died from malaria. This position leads to counter-intuitive and possibly contradictory conclusions. Let’s look at a thought experiment to see why. You can choose between three possible acts. When you perform act1 A, a child (let’s call her Afiya) is born, gets malaria, and dies. Under act B, you cause Afiya not to be born. According to assumption (1), this act is not worse than A. Standard person-affecting view says that it is not wrong to cause someone to exist whose life is net positive, so A is not worse than B. Under act C, you cause Afiya to be born and prevent her from getting malaria. This beats act A according to (2), and is not better than act B according to (1). Thus, A = B, B ≥ C, and C > A. But this creates a contradiction: B > A and B = A. This same concern applies to any person-affecting view. I believe the most plausible resolution of this paradox comes from Roberts (2003)2: It is not wrong to fail to bring someone into existence, but it is wrong to bring someone into existence who will be less happy than they could be. 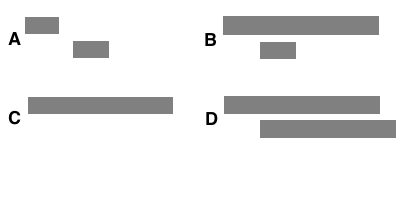 So you ought not allow Afiya to be born and contract malaria when you could have prevented her from existing or caused her not to contract malaria.In other words, B > A, C > A, and B ≥ C.
For a standard person-affecting view, this successfully avoids creating a contradiction (although I and many others find it unsatisfying). However, the GiveWell view has additional problems that a standard person-affecting view does not, because the GiveWell view includes the additional assumption that the value of causing a currently-existing person to live longer derives entirely from the additional life-years lived. By assumption (2), since Afiya gains an additional 35 QALYs when she doesn’t get malaria, we can say that C = A + 35 (that is, act C is “35 QALYs” better than act A). Since B ≥ C, that means B ≥ A + 35. In other words, if we prevent Afiya from existing, that’s at least 35 QALYs better causing Afiya to be born and then letting her die of malaria. This might not appear explicitly contradictory, it nonetheless comes across as very weird. How can act B be worth 35 life-years “better” than act A if it in fact contains fewer happy life-years? A couple of commenters have proposed that a child’s life may be net negative on balance when she dies of malaria at a young age. This still does not avoid the problem with the GiveWell view where the difference between the child’s existence and nonexistence exactly equals the value of the additional life-years she would have if she didn’t get malaria. And, more significantly, this does not resolve the additional problems with the GiveWell view described in the next section. We can actually make a stronger claim than this: the GiveWell view appears to explicitly contradict Roberts’s resolution to the person-affecting view. Showing this gets a bit complicated, so bear with me. In this scenario, there are two children, Afiya and Brian, who might potentially get malaria. You may take one of four possible acts. Act A: Afiya gets malaria and dies. Brian is then born, gets malaria, and dies. Act B: You prevent Afiya from getting malaria. Brian is still born and dies of malaria. Act C: You prevent Afiya from getting malaria and Brian is never born. Act D: Both Afiya and Brian are born, and you prevent them both from getting malaria. 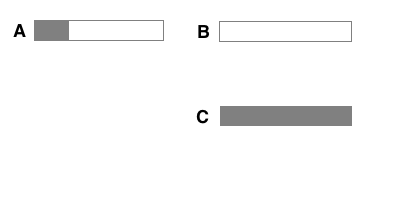 According to the GiveWell view, A < B and B < D.
Under the standard person-affecting view, this creates the same paradox as our previous thought experiment. But even Roberts’s resolution does not work here for the GiveWell view. Roberts’s resolution entails that C = D and therefore B < C. But GiveWell’s cost-effectiveness calculations for AMF implicitly endorse B = C. When we donate to AMF and save an Afiya, standard cost-effectiveness estimates for AMF don’t give any regard to whether a Brian exists, even though under Roberts’s view we should prefer Brian not to exist. If donating to AMF looks like act B, then saving a life is worth 35 QALYs; but if it looks like act C, then saving a life is worth 70 QALYs. Similarly, acts C and D count for the same under Roberts’s resolution, even though GiveWell would count act D as twice as good as act C.
The GiveWell view assumes that the benefits of preventing Afiya from getting malaria come entirely from causing her to live longer. The GiveWell view is indifferent about whether saving Afiya counts as act B, C, or D. In other words, B = C = D. But at the same time, D > B because the GiveWell view wants us to save Brian. This is not just controversial--it&apos;s internally inconsistent. Some philosophers still accept something like the GiveWell view in spite of its problems4. But even if we admit the plausibility of the GiveWell view, I do not believe GiveWell should claim that AMF is 10 times more cost-effective than GiveDirectly. This claim relies on fairly specific assumptions about population ethics that many potential donors will reject. If donors understood these assumptions, I expect that many of them would prioritize their donations differently. For example, last year when Stanford Effective Altruism was considering making donations to charity, we preferred the Schistosomiasis Control Initiative over AMF because we believed that GiveWell gave too much significance to the “GiveWell view” of population ethics and not enough to the total view. Had we not understood the significance of population ethics in GiveWell’s recommendation, we might have prioritized AMF even though our actual beliefs about population ethics would imply that the other top charities look better. The GiveWell view has undesirable implications for population ethics. This gives rise to two concerns: (i) donors may end up following recommendations that contradict their views about population ethics; and (ii) GiveWell is probably in fact wrong about its cost-effectiveness calculations, which count for a large part of its final charity recommendations. Concern (i) suggests that GiveWell should make its assumptions about population ethics more explicit, and concern (ii) suggests that GiveWell should change its cost-effectiveness estimates and possibly its top charity recommendations. Reject assumption (1)–probably by adopting a total view, which claims that it is good rather than neutral to create new happy people. Reject assumption (2), perhaps by claiming that preventing deaths has value beyond just the additional life years created. This would bring us closer to something like preference utilitarianism with a person-affecting view of population ethics. Let’s see if these produce similar counterintuitive conclusions to the GiveWell view, and how we would prioritize charities differently if we adopted them. If we follow the first resolution, the value of AMF derives from its global effect on increasing happiness and reducing suffering. Because AMF hardly changes humans’ lifespans, it does not have a clear beneficial effect for humans (and it’s unclear whether creating more happy human life benefits or harms sentient life in general). So under this resolution, AMF looks much less effective. I personally prefer this view, as do many people at Stanford Effective Altruism (as mentioned above); and as do many philosophers for that matter5. Thus, I substantially discount the life-saving benefits of AMF when prioritizing GiveWell top charities, and I believe GiveWell ought to as well. The second resolution may have even worse implications than the GiveWell view. Suppose we reject assumption (2) by claiming that preventing death has extra value beyond its effect on someone’s lifespan. (Let’s call this the updated person-affecting view.) Returning to our initial thought experiment, the differential between act A (in which a child is born and dies of malaria) and act C (in which a child is born and prevented from getting malaria) appears bigger under the updated person-affecting view than under the GiveWell view. But we still cannot say that we prefer act C to act B, which means now instead of having B ≥ A + 35, we have B > A + 35. We can avoid this problem by claiming that the life-years added by act C have sub-linear value with the length of life. This view appears more plausible, but it means we have no easy way to directly compare AMF against GiveDirectly (or against other charities that serve to improve people’s lives rather than prevent them from dying). We would need to create some new way to trade off preventing deaths against improving lives, so our cost-effectiveness calculations for AMF would look substantially different. Cost-effectiveness estimates for GiveWell top charities, and therefore GiveWell’s recommendations6, depend heavily on controversial questions about population ethics. I believe GiveWell takes an incorrect stance here, and it ought to give more weight to the total view. But more importantly, donors should be aware of how questions of population ethics affect the expected value of different interventions. To GiveWell’s credit, it has written about how its cost-effectiveness estimates require making judgment calls. However, if I am reading them correctly, the cost-effectiveness analyses done by different GiveWell employees all uniformly assume that saving one life with malaria nets has the same value as adding ~35 QALYs, which means GiveWell’s cost-effectiveness spreadsheet enforces a single judgment call on population ethics (i.e., what I have called the GiveWell view). GiveWell’s list of key assumptions on AMF does not include anything about population ethics. A large part of the case for AMF rests on the fact that it appears highly cost-effective when you make certain assumptions about population ethics. Donors who do not make these assumptions, or who have substantial uncertainty about them, should consider which charities look best on their own view of population ethics. Errata: I originally used DALYs instead of QALYs because GiveWell’s cost-effectiveness estimates use DALYs. I was unaware that DALYs have the opposite sign of QALYs. I changed this post to use QALYs instead of DALYs.